Every employer knows the importance of having a team that is innovative, creative, and united in their goals. To achieve the ambitions and dreams of the company, everyone in the business must have a clear understanding of the company’s vision, as well as the values that the company is built upon. It is necessary from time to time to re-focus and re-evaluate with your team and employees to ensure that all are united in their vision. It can be difficult during the busyness of the workweek to find the time to have these essential re-evaluations. It’s easy to become distracted with the actual work of running a business and not have time to really step back and re-focus. It’s also important for your employees to once in a while be removed from their normal office surroundings to re-ignite their innovation and creativity. This is where a corporate team building event can be very beneficial for your business. A change of pace and a change of scenery can be just what is needed to keep your business moving in the right direction. Let’s explore some of the many benefits of taking a corporate retreat. While working in an office, employees rarely show their personalities in the same way they do outside the office. This can be due to the pressures of the workplace, or just their natural disposition around other people. At a corporate retreat, the atmosphere is more relaxed, allowing employees to interact more freely without the work pressure that is usually present. 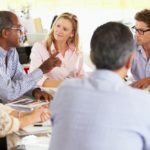 This can allow for building closer relationships between employees, as well as relationships between management and employees. At an offsite event, there is less of a hierarchical structure, allowing everyone to feel important and valued, as well as making them feel more free to express their opinions. Being in the same location day after day can sometimes lend itself to a stagnation in creativity. Just as thinking outside of the box is necessary for creativity, so too being physically outside of your normal “box” is necessary to get the creative juices flowing. The fresh air of the outdoors, the beauty of nature all around you, and the meeting spaces outside of your usual conference areas all lend themselves to a creative environment that is necessary in today’s business world. Obviously, working together is one of the most essential aspects of a successful team. Learning how to work with different personalities while overcoming obstacles is essential for a team to run smoothly and efficiently. 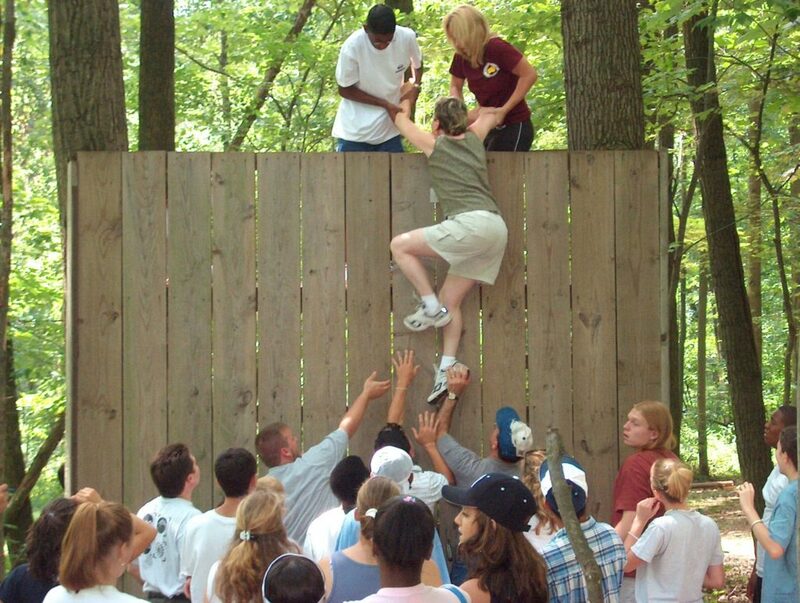 There are many team-building exercises that you can do on your corporate event that will help the various teams in your business to function more cohesively. 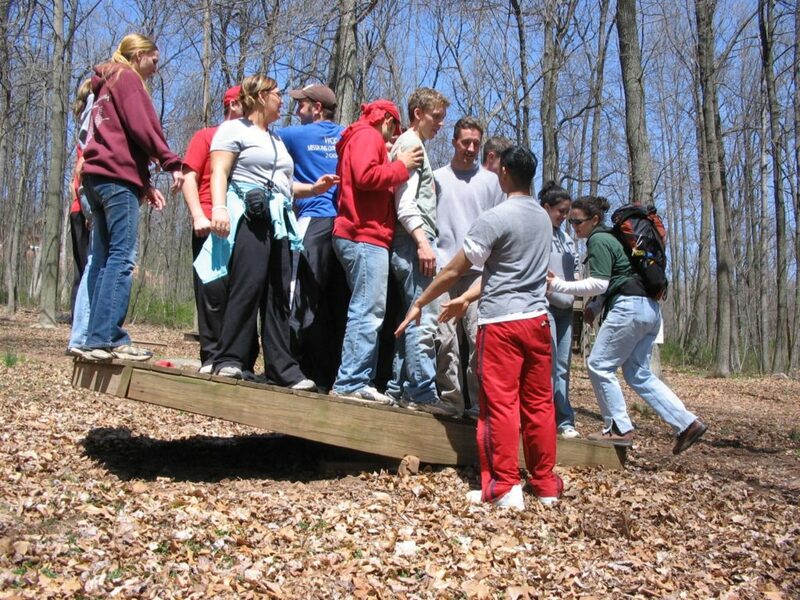 At Refreshing Mountain, we have a variety of teambuilding activities that you can incorporate into your corporate retreat, including team-building challenges that require your team to work together to solve specific challenges; a physical challenge course that combines physical activity with a scavenger hunt; and customized team building events that allow you to specifically design exercises for your teams. Working together to solve problems in a fun, relaxed environment will lead to a more cohesive, focused team at the workplace. In addition to all of the team building activities, a corporate retreat can also be a great place for providing your employees with additional job training. After all, you want as much as possible to take advantage of the opportunity of having your employees all together in a fun, relaxed environment. In the same way that a change of scenery can help to increase creativity, so too can a change in scenery help to present useful information without your employees becoming bored or feel as if their time is being wasted. Refreshing Mountain offers ample meeting facilities with audio/visual equipment to help meet your meeting needs. We also have a full commercial kitchen and provide catering service to larger groups. A corporate team building event is also a great way of rewarding your employees for the great work they’ve done throughout the year. You may consider inviting your employees’ families to the retreat, to break up the work routine even more and to give the retreat more of a “vacation” feel, rather than just another work-related activity. Here at Refreshing Mountain, we are dedicated to making your next corporate event as rewarding as possible. Our helpful staff will work with you in planning the logistics so that you can focus on making your event as beneficial as possible to your employees and company as a whole. We want to share some ways that you can build your team right in your own office! 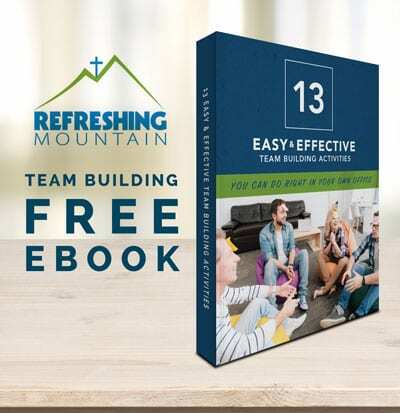 Enter your email below and we’ll send you this resource developed by our own Team Building Team.